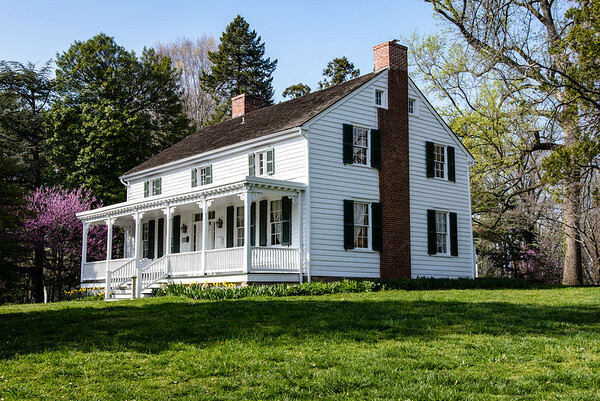 Cherry Hill Farmhouse is a Greek Revival style farmstead in Falls Church, Virginia. 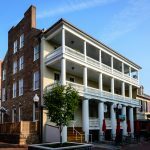 It was built in 1845 but its history dates back to before the Revolutionary War. The original Cherry Hill plantation was part of a 248-acre tract of land granted to John Trammell by Lord Fairfax in 1729. 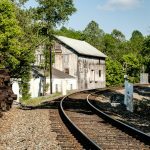 It was located at the crossroads of the trail from Winchester to Alexandria and the trail leading to the Little Falls on the Potomac River. Today this is still a major crossroads in the center of Falls Church – Broad Street (Route 7) and Washington Street (Route 29). Part of the original tract of land was used for the nearby Falls Church. John Trammell’s property passed to his son, Sampson, and then to Sampson’s daughter, Susan Pinnit Cloud. By 1843, the property was occupied by Augustine Newton. The following year, he sold a parcel of 66 plus acres to William Harvey. Harvey was believed to have built the farmhouse we see today. For those of you living in Northern Virginia today who think the property price explosion of the last decade or so was crazy, it pales compared with middle of the Nineteenth Century. Harvey paid $665 for the property in 1844. After construction of the farmstead, and declaring bankruptcy, he sold the farm to George Steele for $1,950 in 1848. In 1856, the property was sold to William Blaisdell of Massachusetts for $4,000. The Blaisdell family lived in the Cherry Hill Farmhouse between 1856 and 1868. During that time, they raised five children. 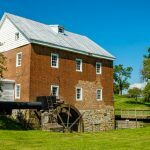 William Blaisdell made numerous improvements to the property including construction of a timber barn, a corn crib and the necessary that all remain today. Falls Church was located only two miles from the Washington defenses. This meant that Cherry Hill, along with the rest of the town, was crossed many times by troops from both sides. Legends tell of a skirmish fought in the peach orchard at Cherry Hill. However, most of the bullets found at the site were never fired indicating that this was more likely the result of soldier encampments rather than any battle. After the battle of Bull Run the Confederate Army occupied the town for two months. During this period most of the northerners fled town, especially as they were the nucleus of those voting against secession. The Blaisdell family, though, could not leave. Mrs. Blaisdell had given birth only two weeks prior to the battle making it impossible to travel. By September 1861, the Confederate Army had vacated the town. Falls Church remained under Union control for the rest of the war. The effects on the farming community, though, did not change. The Union troops encamped in their fields. Crops, timber and livestock continued to be confiscated. After the war, conditions for the farmers in the area started to recover. The growth of nearby Washington as well as the communities in Northern Virginia created an increasing demand for the farmers’ produce. By 1865, Blaisdell was able to sell Cherry Hill for $7,000. He stayed on as the farm manager until all debts due to him were paid. The family returned to Concord, Massachusetts in 1868. 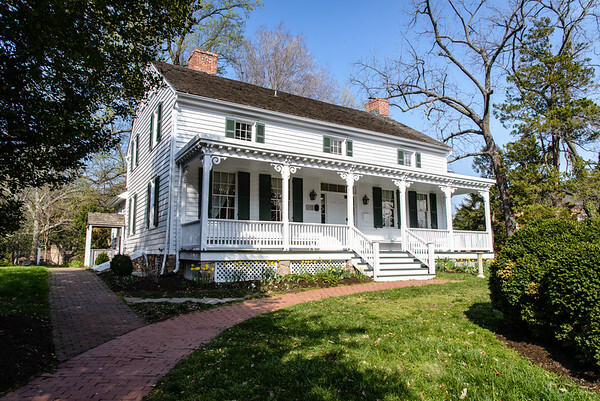 Cherry Hill Farmhouse is now a historic house museum owned by the City of Falls Church. It is located within a 7-acre park, all that remains of the original plantation. The Friends of Cherry Hill Foundation was created to furnish the house and barn. Appropriate furnishings have been acquired to recreate the property at the time of the Blaisdell’s ownership. The barn has also been furnished with tools from that time. The property is open to the public. It can also be rented for weddings and other private parties. The property was listed on the National Register of Historic Places in July 1973. 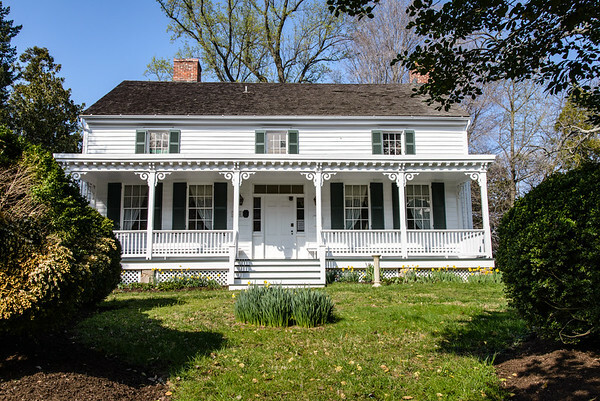 Cherry Hill Farmhouse is an 1845 Greek Revival style farmstead in Falls Church, Virginia. It was owned by William Blaisdell and his family from 1856 to 1868. It is now a historic house museum.